Bob Scriver was born in 1914 on the Blackfoot Indian Reservation at Browning, Montana. His parents were Anglophones from Quebec who operated the Browning Mercantile Company. His upbringing amidst stories from the Blackfoot elders and the wild tales of the West from the frontiersmen, caused Scriver to have a rich collection of memories to draw from for the rest of his artistic life. But early on his focus was music. After high school he studied music education at Dickinson State College in North Dakota, Vander Cook College of Music in Chicago, Northwestern University in Evanston, Illinois and the University of Washington in Seattle. He then taught for many years at Browning High School and in the Montana Public Schools. He was the first-chair cornet in the Alaskan Division during WWII when he was stationed in Edmonton, Alberta. He also played in dance bands in the 1930-40s. While studying at VanderCook, Scriver became interested in taxidermy from his frequent visits to the Field Museum of Natural History in Chicago. By 1950 he gave up his teaching position to become a full-time taxidermist. 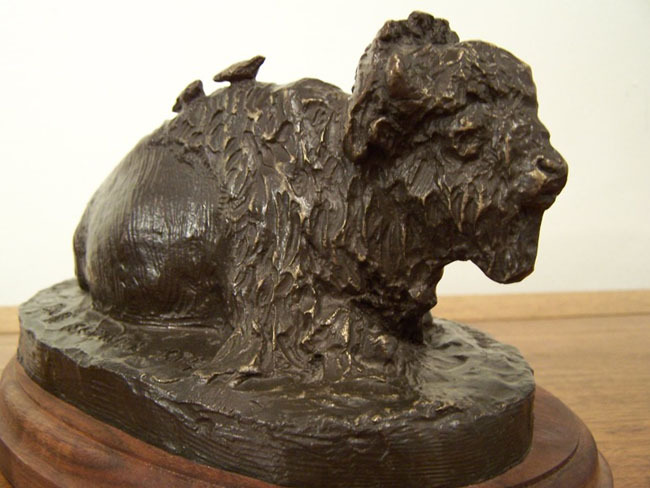 He enjoyed the success he experienced in sculpting the animal forms for his taxidermy work and went on to experiment with other forms of sculpture. His entry into a competition to create a life-size statue of Charles M. Russell was not a winner, but made him realize his true calling. From then on he focused entirely on sculpting. In 1961, Scriver opened his first exhibition at his studio in Browning. It was very successful and National recognition soon followed. In the mid-60s he opened his own bronze studio and by 1967 was casting his own series of rodeo characters. In the 1970s his focus was a series about the culture and traditions of the Blackfeet people that he was so familiar with from his childhood on. This was the most successful of his sculpting work. Beginning sculpting at the age of 46, he continued to create sculpture for the next nearly forty years, becoming one of the country’s major chroniclers of Western history. 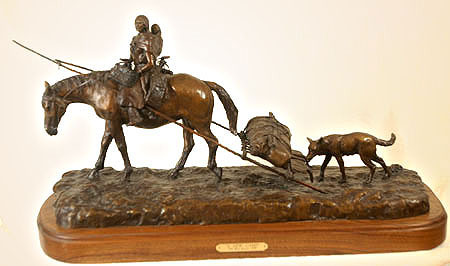 He was awarded gold and silver medals by the Cowboy Artists of America and the National Academy of Western Art. 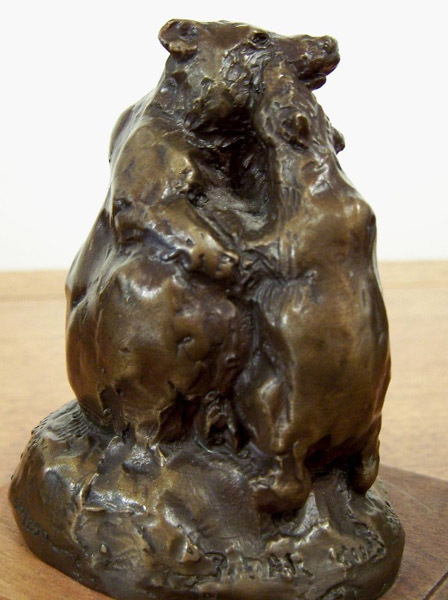 He was a member of the National Sculpture Society, the International Art Guild, the Salmagundi Club and the Society of Animal Artists. 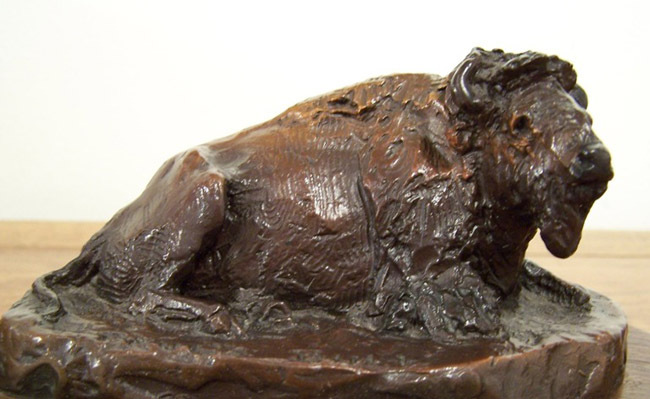 From the late 1950s through the end of the twentieth century, visitors to the Glacier National Park area were treated to Bob Scriver’s “Museum of Montana Wildlife and Hall of Bronze” where he housed a huge collection of taxidermy, dioramas depicting big game and many bronzes depicting the Blackfoot culture and professional rodeo cowboys. Following his death in 1999, his widow Lorraine presented this huge collection to the Montana Historical Society. The pieces are today divided between the Provincial Museum in Edmonton, Alberta and the Rocky Mountain Elk Foundation in Missoula, Montana. 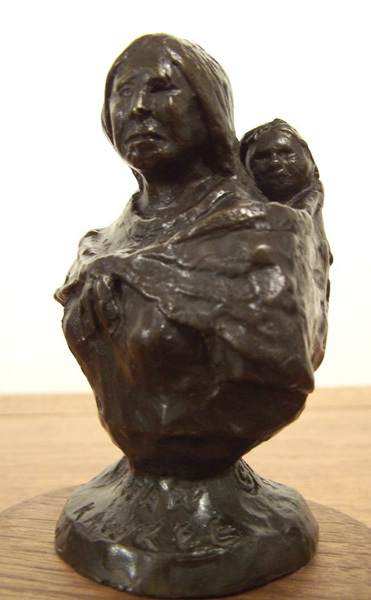 Scriver’s work is also in the collections of the Buffalo Bill Historical Center in Cody, Wyoming, the C.M. Russell Museum in Great Falls, Montana and the Glenbow Museum in Calgary, Alberta as well as numerous private collections including several pieces for the Professional Rodeo Cowboys Association.